A Europe that doesn’t stand for anything stands for nothing, writes John Harding-Easson. It should be without surprise that the awarding of this year’s Nobel Peace Prize to the European Union was met with heckles from the media in attendance and derision from eurosceptics. The Nobel committee, which awards those who have contributed to peace, has again shown itself as a farce. What the EU has achieved over the past six decades is unclear. It failed to avert war in Croatia, failed to avert war in Bosnia, and failed to avert war in Kosovo. It is true that it played a significant role in the democratisation of Communist states after the Berlin Wall fell in 1989, but why has it been awarded now? Did the committee really think they were making a daring or imaginative statement with this year’s Prize? In a decade of economic crisis and uprisings in the Middle East, the Prize presented an opportunity for the Nobel committee to award the bold and inspirational. This is what the Nobel committees of previous years achieved. But what is more ridiculous about this award is that it falls into the trope of the current European establishment that attempts to characterise a whole continent with a mixed history of internal division into a single, myopic picture. The European project is founded on two threads. The first is economic integration, the second are the grand ideals of mutual understanding and unity. Yet the powerful bureaucratic elites who dominate the EU are determined to favour prosperity above democracy. It attempts to clumsily and monolithically tie together 27 states that lack a shared culture or history into central authority. 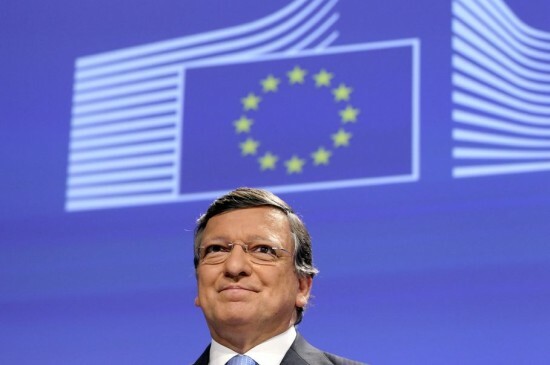 Meanwhile, in September, European Commission President Jose Manuel Barroso called for a “transnational order” with “shared sovereignty”. There is no reason to reward banal internationalism, and even less to reward plutocratic reign. This is a Union more focused on plutocracy than democracy. Take the salient example of Greece’s Debt Crisis. As a fiscal union it manages public spending. Power within the EU has become increasingly constrained in Germany. This has become clear with the European response to the Greek debt crisis where sovereignty has given way to stability. With a low unemployment rate and robust financial sector, the powerhouse has managed to make even France and England look like weak players. Greece’s problems have given way to an EU with an even wider power dichotomy. As the problems of the Greeks worsen, the Germans have been able to dramatically set the direction of the organisation. Key to this is an agenda that undermines state fiscal sovereignty. Early this year the German government called on Greece to surrender all control of its budgetary policy to the EU. In May, the German Finance Minister proposed a more integrated EU with “a common finance policy and a central government” at its core. The original aim of the project as embodied in the Paris and Rome treaties of the 1950s boldly worked for reconciliation between France and Germany. But at some point that effort changed to economic prosperity as Britain, Denmark and Ireland signed up to the European Economic Community which advocated market integration. The Nobel Peace Prize was incorrectly awarded to the European Union, because it does not speak with one voice. It is placed on the same shelf as the Red Cross, the United Nations High Commissioner for Refugees, the International Labour Organisation. Amnesty International, and Médecins Sans Frontières. These are institutions of true imagination that seek to protect the rights of the vulnerable. What the 2012 Nobel Peace Prize reminds us is that the 2008 award to Barack Obama was no mistake: the committee has now lost all legitimacy. But it also speaks volumes of the problems with the EU and its democratic deficit. There is no single narrative on Europe or the EU. And that is not a fact that should be awarded.